Frank Sinatra and the "Afternoon Croon"
It's no secret that I'm a big fan of Frank Sinatra. As a teacher, I put Frank Sinatra extra credit questions on every test, reward kids with Frank Sinatra extra credit tokens and often play Sinatra for the kids as they work in class. 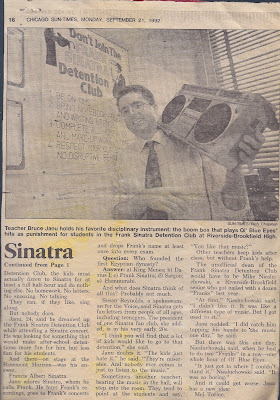 When I first started teaching, I gained a little notoriety when I created the Frank Sinatra Detention Club. When kids got a detention, they came in after school and I played 30 minutes of Frank Sinatra music for them. And, I sometimes sang as well. It was a slow newsday back in September, 1992. For a few days, the story was all over; first on the front page of the Chicago Sun-Times and then on the front page of USA Today. Then came the calls and the shows: local radio, Good Morning America and even a joke by Jay Leno on the Tonight Show. It was crazy. People thought my "punishment" was funny. I, however, never saw it as a punishment. I saw it as a means of introducing students to the great Frank Sinatra. Here we are 24 years later and Sinatra makes an appearance once in a while on Vinyl Voyage Radio. Of course, Old Blue Eyes can be heard occasionally during regular rotation; there is more probability of hearing a Sinatra tune during the Vinyl Brunch on weekend mornings, however. Until now, that is. Premiering next month is a new show on Vinyl Voyage. It is called The Afternoon Croon. 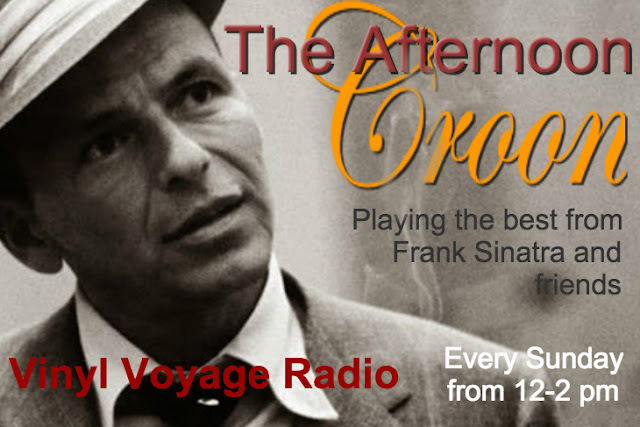 For two hours on each Sunday afternoon, I will select the best from Sinatra and his friends: Dean Martin, Sammy Davis, Jr., Nat King Cole and many more. Join us on February 14 for the premiere episode. Each episode will feature Sinatra quotes and trivia as well. For two hours each Sunday, you can step into Sinatra's world. If only for a little while. Tonight, we celebrated the memory of Martin Luther King, Jr. through the power of music. If you missed this broadcast, you stream it on demand at MixCloud. You may have by now heard the news: Columbia House is coming back in 2016. Yes, the company that helped fill out my record collection (and later my cd collection) is getting back into the vinyl business. I'm sure they won't have the same unbelievable vinyl offers like they had in the 70s and 80s. Remember those offers? 13 albums for $1.00! But the fact that they are going to be back selling vinyl is great news. 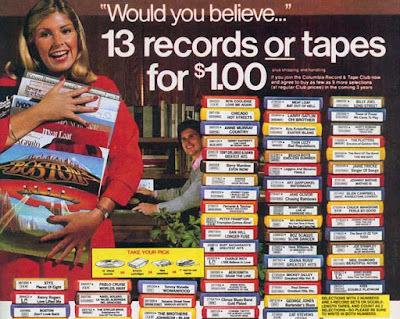 And it got me thinking: if Columbia House can make a vinyl comeback, what about K-Tel? 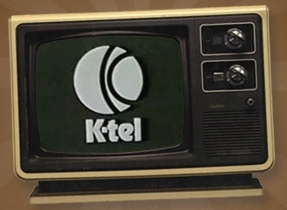 For those of you wondering, K-Tel is still around; they haven't gone anywhere. They had some financial troubles in the late 90s for sure, but they still have a nice catalog of music, numbering over 6,000 tunes. In fact, they still license that music for all sorts of projects--from movies to tv and commercials. They have tunes from Chuck Berry and Etta James. B.J. Thomas and Leslie Gore. The Buckinghams and Tina Turner. I am sure they have many of the tunes that filled their wonderful albums of the 70s and 80s. Wouldn't it be great if K-Tel started putting those songs back on vinyl? Not to recreate past albums, but assemble new titles for not only the generation who grew up on those albums but also the younger set discovering vinyl once again. These albums could be of higher quality--and less songs--but they could also recapture the look and nostalgia of those eclectic records hawked on tv and radio throughout the 70s and 80s. Here's a great thought experiment: If you could put together the best of K-Tel in one limited edition collector's vinyl, what would you include? Here's my choice: K-Tel presents Time Machine. 14 Original Hits, Original Stars. Now that would be a great album! I'm having a problem letting go. As I mentioned in my last post, Live365 is closing up shop, leaving thousands of broadcasters without a platform, including Vinyl Voyage Radio. However, I don't think I am going anywhere. We recently purchased a new stream and are looking at funding options to keep the station going. More to come on that front. One thing is for sure: I will need your help. In the meantime, we are up and running. Bigger and better. We stream now at 128kps, instead of 64. And, we are going to be available on more platforms and streaming services. So Long, Vinyl Voyagers. It's Been Fun. 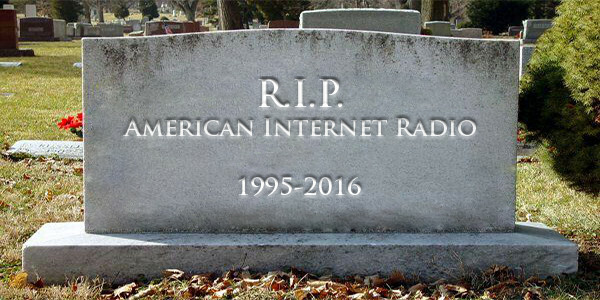 It appears that this radio station will no longer be operating after January 31, 2016. I started Vinyl Voyage Radio almost exactly five years ago after re-discovering a bunch of my old records in the basement. My K-Tel collection stood out. Oh, how I loved my K-Tel albums back in the 70s. 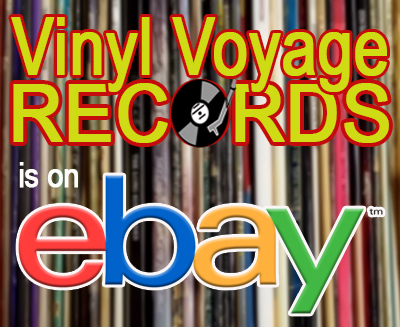 The impetus for Vinyl Voyage came because I wanted to share those albums. And share them I did. Nearly every month for the last five years I have recorded episodes of Adventures in Vinyl to play those K-Tel records again. And I spent countless hours digitizing my other albums as well. As a result, the playlist for this radio station has grown to thousands of songs easily spanning 60 or more years. We have been playing vinyl music 24 hours a day for the last 5 years, with a much more diverse and deep playlist than any commercial station on terrestrial radio. 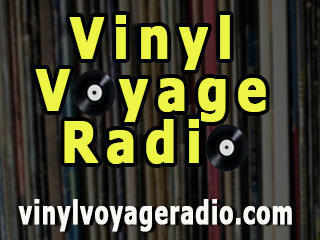 There are Vinyl Voyage listeners all over the world. From Finland to Israel, from Papua New Guinea to Slovakia, from Brazil to Taiwan and many more places in between. 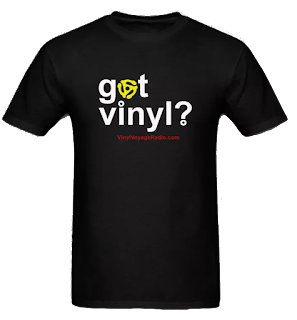 I have corresponded with vinyl music lovers all over the globe, sharing a passion for music, for records, and for nostalgia. This station has been a small joy of mine. On those nights where sleep was elusive, I came down into the basement to play some music for the few listeners I had experiencing the same bout of insomnia. Through albums I have picked up at garage sales, Goodwill and family and friends I have reconnected with some great, eclectic music that I have not heard in years. I have been lucky to have done this and wish I could continue. But, as of January 1, 2016, the laws regarding royalties have changed. Since 1995, small broadcasters like myself were given an option to pay royalties based on percentage of revenue. Live365, founded in 1999, fulfilled the necessary paperwork and royalty submissions that thousands of people like myself have used to play music without violating copyright laws and keeping the cost reasonable. Live365 has been one of the only services to do so and was licensed by ASCAP, BMI, SESAC, SoundExchange, and SOCAN. These are the main agencies that distribute royalties to artists. Those laws have now changed and the special status given to small broadcasters have been removed. Now, in order for me (and literally thousands and thousands of stations like mine) to continue, I will need to pay a yearly fee of $500 and a per song royalty. In essence, something that used to be very affordable, can now cost thousands or tens of thousands a year. The big streamers like Spotify and Pandora are onboard with these changes, of course. The cost factor for them will not have changed all that much. They make millions in revenue as it is and weren't subjected to the small broadcaster rules. Live365, which is built on provisions in law that benefit stations like mine, cannot survive when that option is nor longer available. And all of those stations out there that are curated by actual human beings and that specialize in certain music will not longer be able to provide those streams to their listeners. The world of internet music is no longer going to be as diverse or as interesting. When the Copyright Royalty Board announced the changes, Live365 had no choice but to lay off most of its staff. Investors pulled their money and we have been left without a platform. They have stated that the streams will most likely be shut off on January 31 at the latest unless a new deal is made. And a deal is not likely to happen. I hate to see Vinyl Voyage Radio go. And it will not go away completely. We'll keep going until that stream is shut off. And when that happens, I will continue, at least for the time being, to keep my video stream going at VaughnLive.tv as I look for other ways to legally provide vinyl music to our listeners. Most importantly, I'll still make new episodes of Adventures in Vinyl. All of those episodes are hosted at MixCloud and can be streamed at any time. But unfortunately there can be no more Manic Mondays. No More Funky, Feel-Good Fridays. No more weekend Vinyl Brunch. No more Classic Rock Blocks. Thank you for listening. This has been a pure joy of mine and I hope you enjoyed the nostalgia and the music. A New year, a "New" K-Tel Album-Southern Fried Rock! Happy New Year, vinyl lovers! As we ring in 2016, we ring it in with style. K-Tel style! 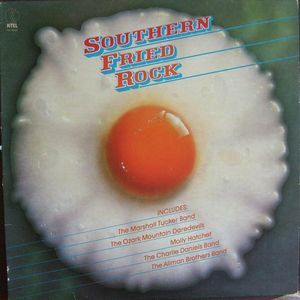 This month we are featuring the classic K-Tel album, Southern Fried Rock. The album was released in 1980- on the new and improved K-Tel label. The label was now orange and brown and the songs no longer massively edited. This album features cuts from The Marshall Tucker band, the Allman Brothers, .38 Special, Charlie Daniels and many, many more! 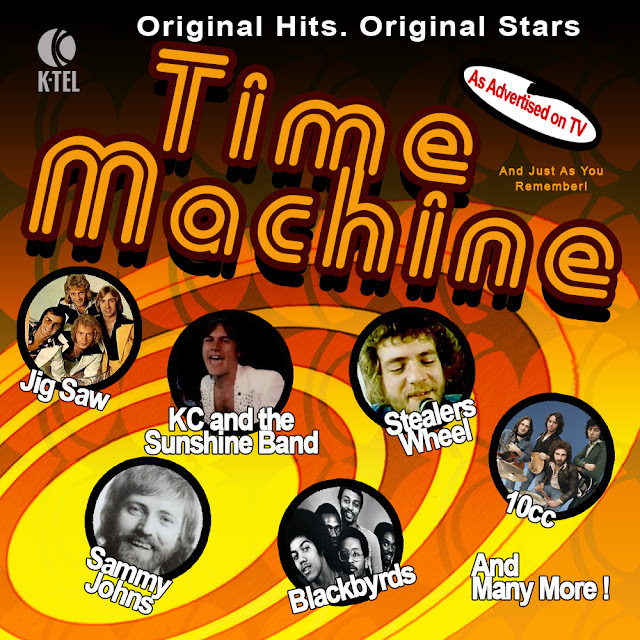 Adventures in Vinyl features a classic K-tel album on every episode. 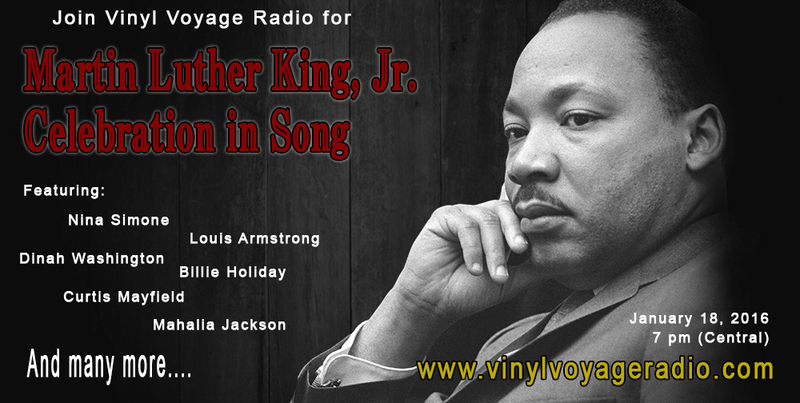 New episodes can be heard on the weekends on Vinyl Voyage Radio. Random episodes are played throughout the week. If you can't hear Adventures in Vinyl at those times. every episode streams on Mixcloud. Listen to the current episode below.